At Sculpture we expect results. That is why we are selective about who we accept and retain as clients. If you truly have the desire to change your body, health, or performance we want to make that happen. Every day we put our reputation, passion, and heart into helping you succeed and we expect you to do the same. If you choose not to commit or want a trainer just to say you have one, you chose the wrong studio. We will help you set goals and reach them. At Sculpture, we don't just show you how to do an exercise; we educate you in the areas of strength training, cardiovascular endurance, and proper nutrition. Yes, you can still have your cake and eat it too! Who says that healthy deserts don't taste great? 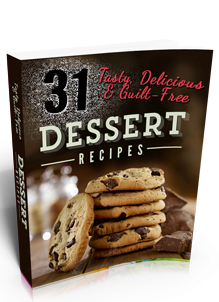 Get instant access to the 31 Tasty and Guilt Free Dessert Recipe Book just by entering your email in the box below. Content copyright . Sculpture Training Studio. All rights reserved.